Live a life that makes your heart sing with joy !!! I refuse to be cowed down by sufferings; life is too short and too beautiful to be wasted on baseless worries. 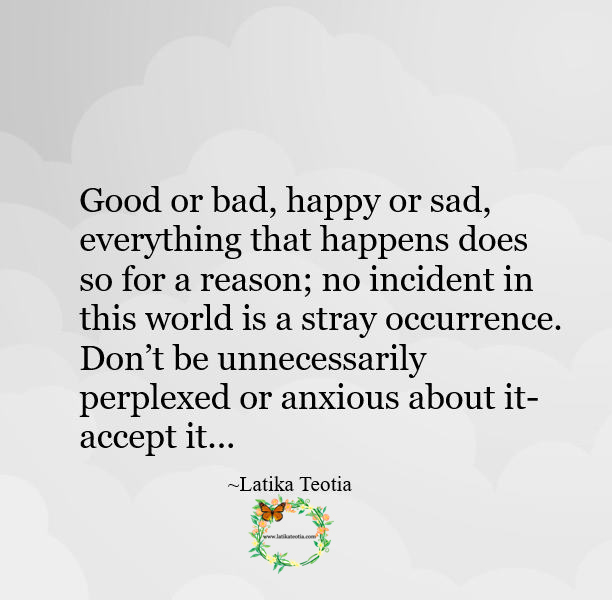 I choose joy and trust the universe !!! 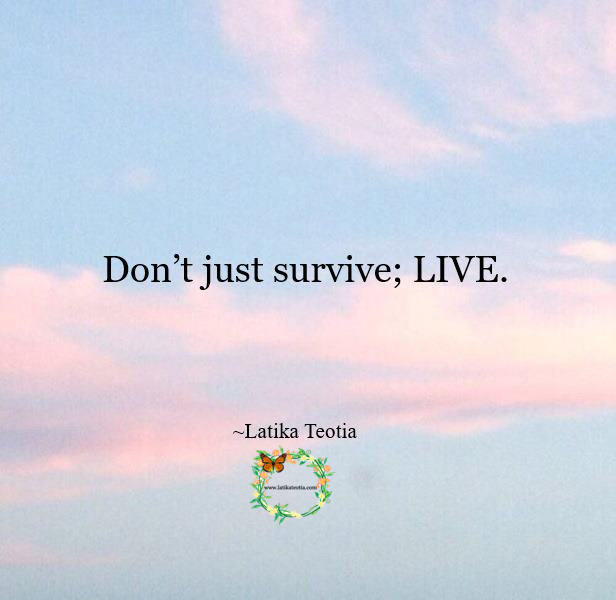 Surrender to the flow of life !!! 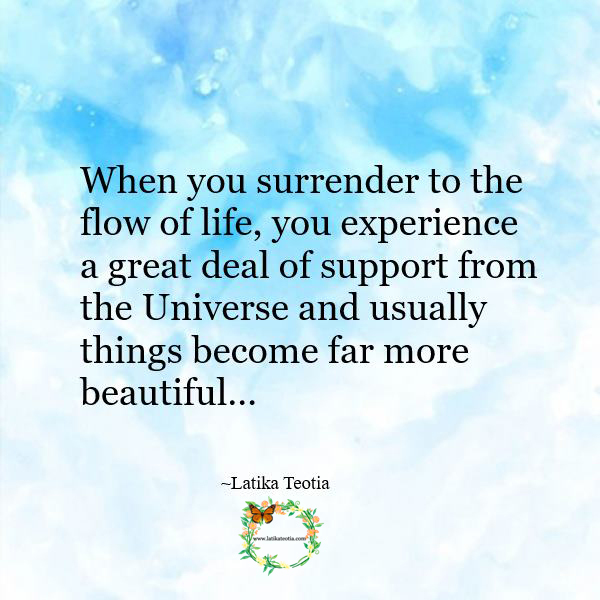 When you surrender to the flow of life, you experience a great deal of support from the Universe and usually things become far more beautiful.